There were a number of Star Trek novels, one of them was Shadows On The Sun which I already own in paperback. 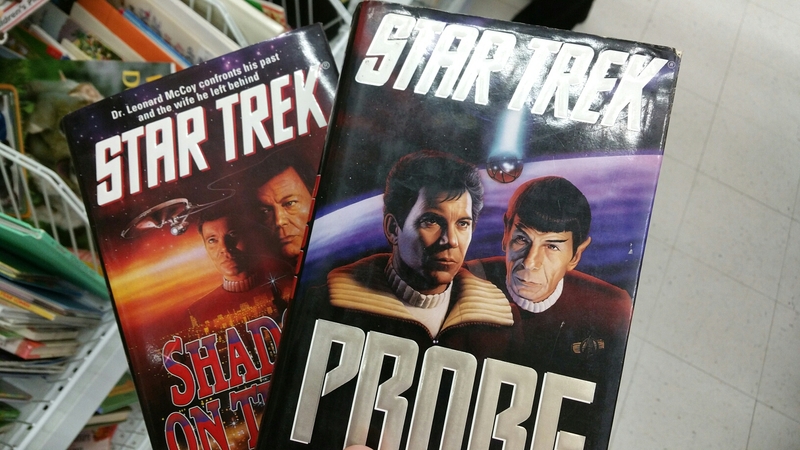 The other one called Probe, is a follow up to Star Trek IV: The Voyage Home. I did buy this book and will be adding it to the challenge. Later we stopped by a local comic & tabletop shop.. Sadly it seemed that the selection was getting smaller. Comics were down to two rows and the tabletop games were rather lackluster.. Normally this shop is well stocked, not this go around. 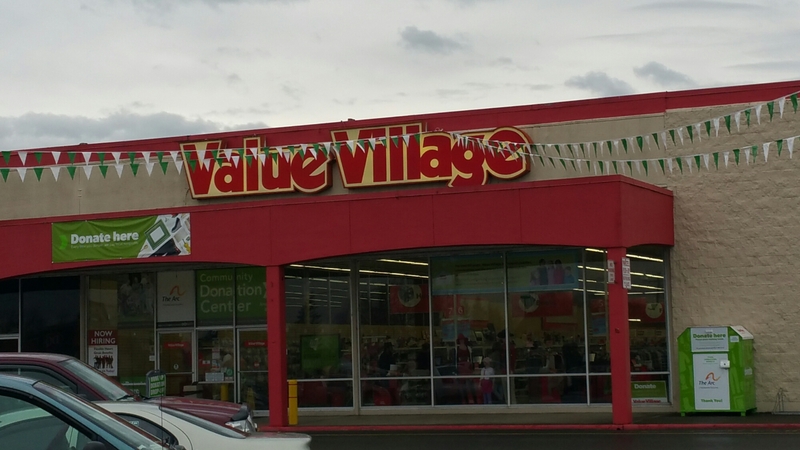 We did find a old thrift store next door and stopped in before heading out.. There I found a copy of The Muppet Movie on VHS that has been opened yet! Never been played, it was only 50 cents as well. So no brainer there and bought it haha. Afterwards we went to Best Buy and then to a friend’s house for some Diablo 3 gaming! So here are the treasures we found through out the day.